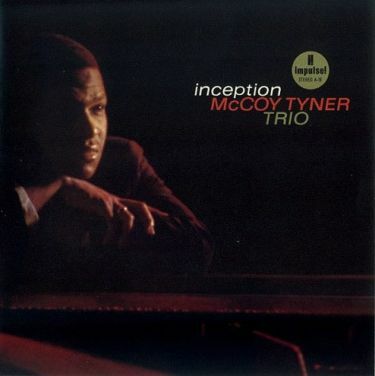 Although McCoy Tyner recorded with consistent excellence beyond his brilliant and definitive work with John Coltrane, the pianist's Milestone legacy (1972-81) cemented his individual place in the jazz pantheon. 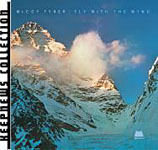 Focal Point is a 1976 Milestone date now reissued on OJC that enhances Tyner's then working trio of Charles Fambrough on bass and Eric Gravatt on drums with the commanding reeds of Gary Bartz, Joe Ford and Ron Bridgewater and Guilherme Franco's colorful, exotic percussion. 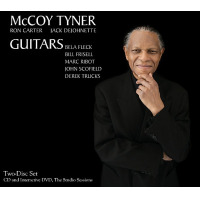 Here, Tyner explores a neat half dozen of his exceptional originals and elicits some of his most powerful, energetic personal pianism. Stand outs include "Mes Trois Fils," the very Tyneresque "Mode for Dulcimer" (with Tyner on the eponymous instrument and Franco subtly working the tabla), the Tyner-Gravatt duet of "Parody" and the Tyner-Ford-Fambrough-Gravatt-Franco "Theme For Nana." A little overdubbing occurs, but the result is still a tight, simpatico septet that understands and thrives on Tyner's unique conceptions. Songs:Mes Trois Fils; Parody; Indo-Serenade; Mode for Dulcimer; Departure; Departure; Theme for Nana. 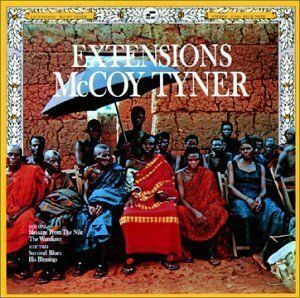 Players:McCoy Tyner: piano, dulcimer; Gary Bartz: clarinet, sopranino, soprano sax, alto sax; Joe Ford: flutes, soprano sax, alto sax; Ron Bridgewater: soprano sax, tenor sax; Charles Fambrough: bass; Eric Kamau Gravatt: drums; Guilherme Franco: congas, percussion, tabla.